Welcome to other post in my Let’s Talk About… series! This series is all about being vulnerable and real with you all. Here, I share all my thoughts, experiences, and concerns about topics that aren’t always pretty and sometimes tough. I just lay it all out in this series and if there is something that you think needs to be talked about here, let me know! I’d love to hear from you. Purpose. That’s what we’re talking about today, because I think it is so important to find your purpose, but it isn’t easy. It’s not like we’re born with instructions on what our purpose is in life. 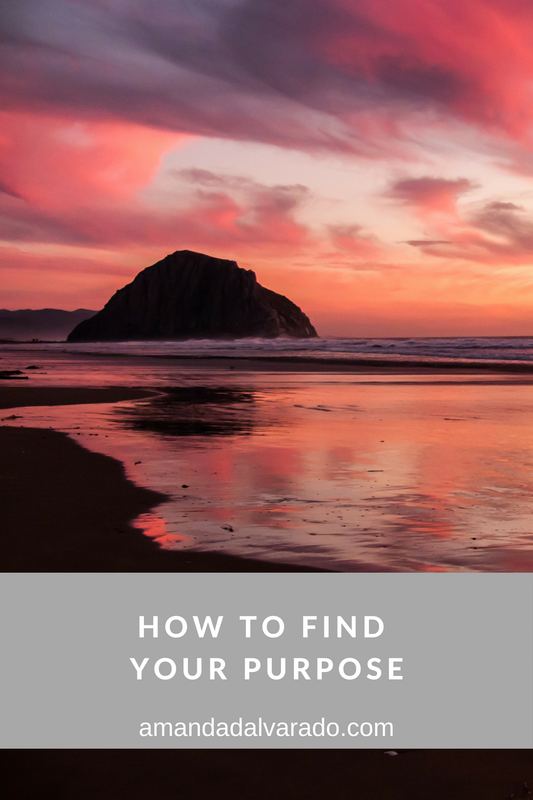 When you find your purpose, it helps make life easier to navigate. We all have a purpose. We all have a voice. We all have a platform. The second you were born, you were given a purpose. We’ve just got to find it. If you don’t know where to start, you just have to do it. You have to start talking. You have to be willing to go out of your comfort zone. You’ve been given gifts and you need to use those in your pathway to your purpose. You’ve got to pray and ask Jesus to reveal what your purpose is in your life. He’ll reveal it to you if you open up and ask Him. I’ve always been a big dreamer. I have a heart for people. My dream has been to touch people’s lives somehow through Jesus. I think we all just want to make a difference, but don’t know how. I thought that the only way I could do that was by being a pastor’s wife or finding a job in ministry. When I decided to take a broadcast class in high school, I fell in love and I knew that I wanted to do something in media. I discovered that I knack for creativity and telling a story. I prayed and I knew that God was telling me, “hey kiddo, pursue this.” And I have. While I’m really new to this industry, I know that everything I have done has been completely blessed by Jesus. There is no way I would be here without Him. Something that had also been on my mind for a while… starting a blog. I just wanted an outlet to write my thoughts and feelings and what I was learning in life. I would start a blog and then delete it after a few weeks because I just felt like it was too weird and not perfect. When I couldn’t find a summer job, I prayed and asked God for guidance. That summer, I started this blog and I’ve used it to share not only my favorite things, but also encouragement. God has shown me that while I don’t have a job in ministry, I’m still showing others the love of Christ through everything I do. He has shown me that I can touch people’s lives through working in media and my blog in a way that maybe someone working in a church can’t. We’ve all got our own people; our own group around us. That is our platform. What makes your heart hurt? What makes your heart full of happiness? What fills your soul with passion? Those questions can help you find out what your purpose is. It also takes some real communication with Jesus. I really hope this made sense. My point is that we all have a unique purpose. My purpose is different than yours. We all have a different platform where our purpose will be used. It takes a little stepping out of your comfort zone and talking with Jesus to find out exactly what that is. I’m 23 and I have a good idea of my purpose, but it can always shift slightly. Your purpose isn’t always just one thing. It can be a mix of things. It can be broad. Whatever your purpose is, own it and live your best life. I love this. It is so important to know your purpose and to pursue it.